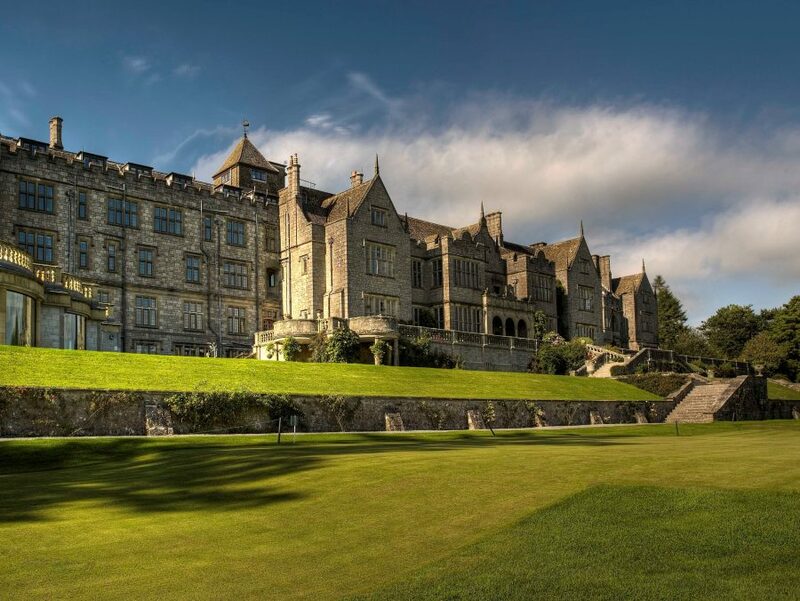 Set in acres of lush, rolling countryside on the slopes of Dartmoor, Bovey Castle Hotel has something to offer everyone. 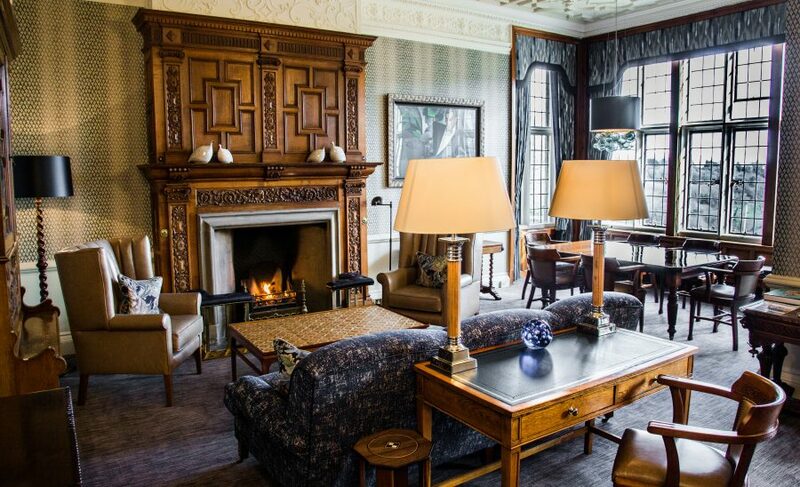 Built in 1907 by the Smith family – of WHSmith fame – as a lavish neo-Elizabethan styled manor house, it’s now an impressive hotel offering over 60 comfortable and spacious bedrooms – many with sweeping views of the moors – and 22 self-catering lodges. The hotel’s website states that guests are offered “luxury and indulgence” but it’s not a “stuffy hotel where you can’t sit on the furniture or let your kids enjoy themselves”. As I visited with my wife and two young children, I’m pleased to say the hotel lived up to expectations; in fact, it exceeded them. Attentive, helpful staff generate a relaxed atmosphere and everyone feels welcome, regardless of age. 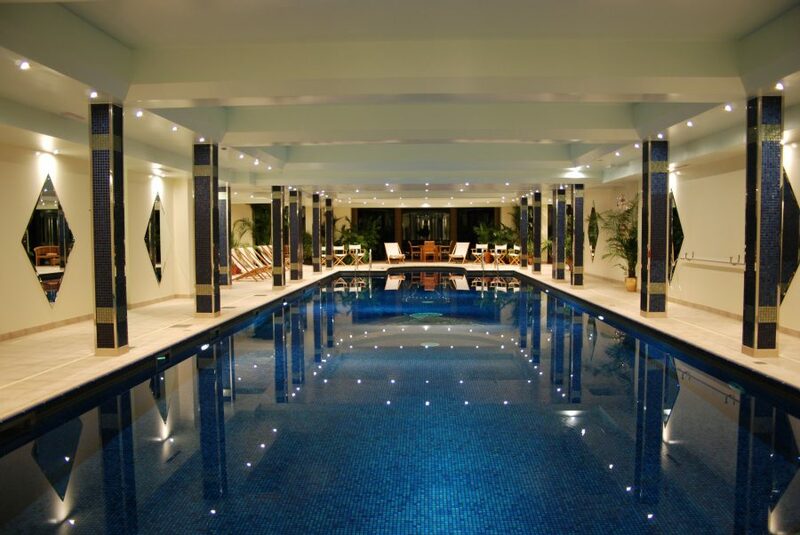 In hotels as grand as this, children – and their parents – can feel daunted, but not here. During school holidays, children will delight in Lego Room Service. The only hotel in the world offering it, children choose a Lego toy on checking in and it’s delivered to the room for them to enjoy during their stay. The hotel – which has a large indoor pool – offers many activities, including egg collecting, raft building, apple pressing and indoor play activities for kids while adults enjoy, among others, the 18-hole golf course, fishing, croquet and the spa; in fact, you could spend all week here and not have to leave the grounds, although it’s advisable to explore the wildness of Dartmoor. 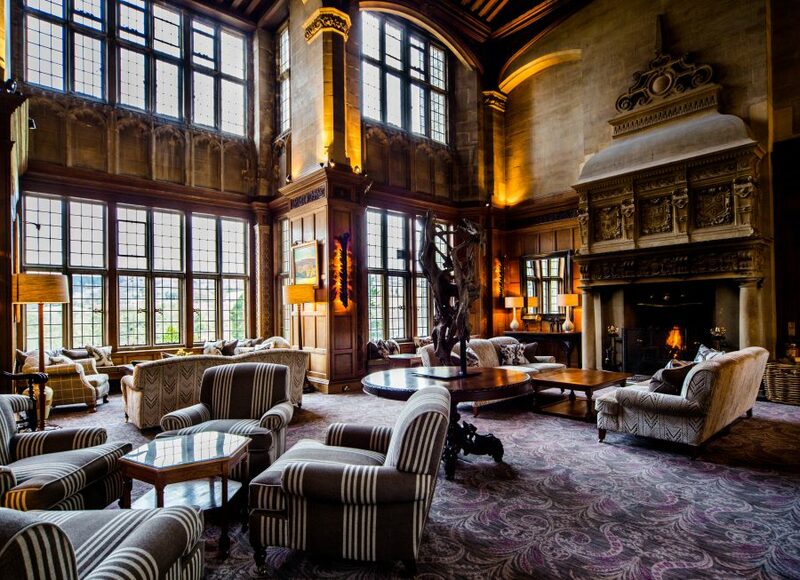 The hotel’s décor resembles a stately home, with high ceilings, intricate panelling, wide Jacobean-styled staircases and large stone fireplaces. Plush public areas are aplenty for reading, whiling away the time or enjoying afternoon tea. There is a choice of two restaurants: the Art Deco-styled Edwardian Grill or the contemporary Castle Bistro, which is more suitable for children. We eat at the Castle Bistro where, reassuringly, the catering team was flexible enough to adjust dishes to suit our children’s needs. Although staying and eating at Bovey Castle isn’t cheap, for us it was an enjoyable, relaxing break at a genuinely family-friendly hotel. Note: since our visit, the hotel has been taken over by The Eden Hotel Collection, which owns eight luxury hotels, restaurants and spas. Obviously, certain changes have taken place, including re-naming of restaurants.